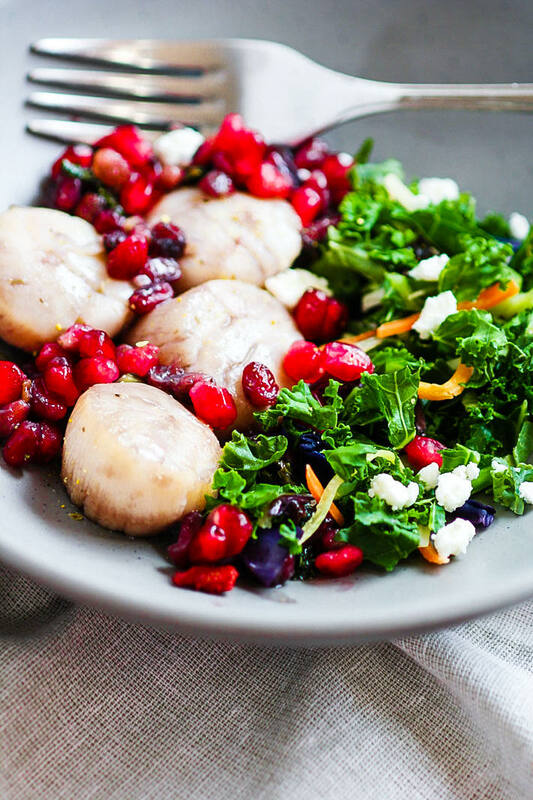 EASY Maple Balsamic-Glazed Scallops with Pomegranates! You see, I’m pretty sure everybody starts off intimidated by scallops. Buying them, cooking them, preparing them, you get my point. But can I let you in on a little secret of mine? It’s a secret you’re not going to want to share with anyone else. Here’s my confession… cooking scallops (balsamic-glazed scallops) are my lazy girl’s guide to an impressive date night in or dinner party. No really! Scallops literally take 10 minutes to cook and you can totally fake your way fancy with a special maple balsamic glaze sauce. See, told you. Keep that secret. Better yet, I’ll show you how to fake being Fancy. And yes, I’m sure you love my terminology, fake your way fancy is a real thing. 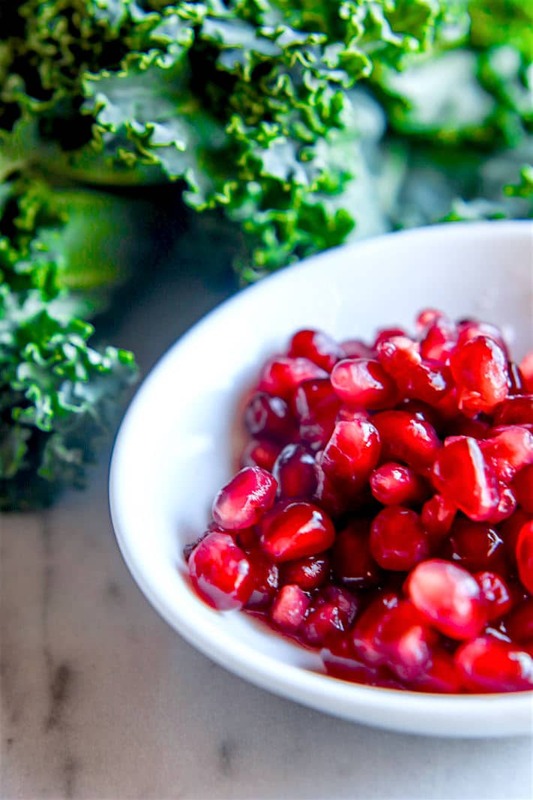 OK so Maple balsamic-glazed scallops recipe with my favorite fruit –> pomegranate. It’s simple. You just need 6 ingredients, one pan, and scallops that are opaque, not soggy, firm, and preferably without water/solution. 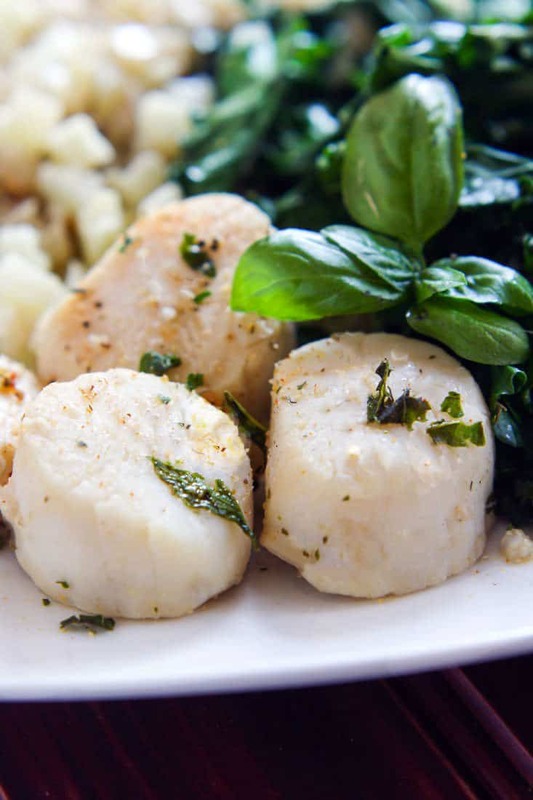 We prefer to buy sizzlefish scallops because they are flash frozen and dry packed. Which means no chemicals and you preserve all the nutrients!! YAY! But then… then you wait for that glaze. It’s gonna be EPIC I tell you. Sweet tangy maple balsamic-glazed scallops. Looks and sounds Romantic already, don’t you think? The name itself just boosts your cooking ego. Haha! In all seriousness ya’ll, these scallops are dressed to impress! And the other KEY to cooking with a glazed scallop recipe is to NOT cook too much. Yes, scallops will continue to cook a bit after your sear them. So dress them in that sauce, remove from heat, and let them soak it all up. Then VIOLA! 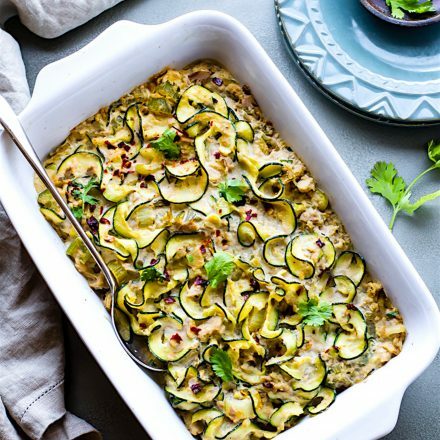 I served this with a kale and goat cheese salad (slightly steamed) and more of that EPIC sauce. Ugh, I know, I just said epic 3 times in a post. But if you like a sauce/glaze so much that you could drink it… it’s EPIC. Just sayin..
Heat a pan on between medium high to high, add your butter and maple syrup. 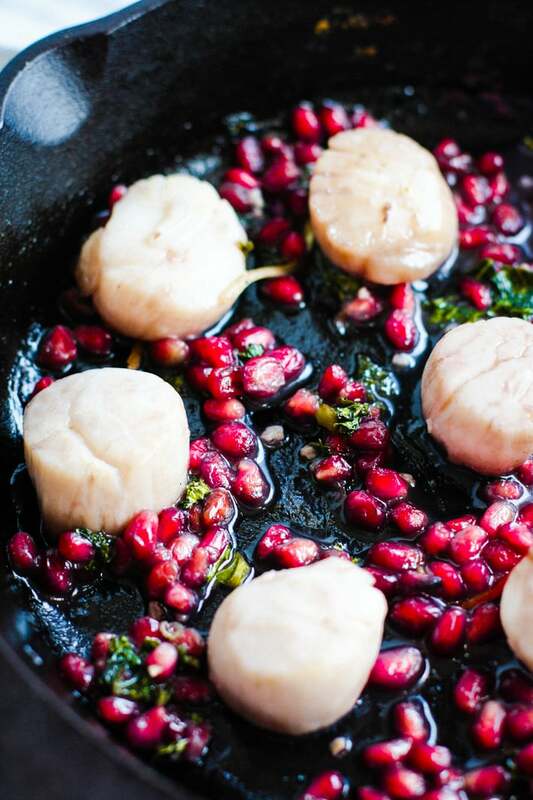 Once it’s starts sizzling, add your scallops, pomegranate seeds, and balsamic vinegar. Add in your garlic and dash sea salt. Want more ways to fake your way fancy with scallops? 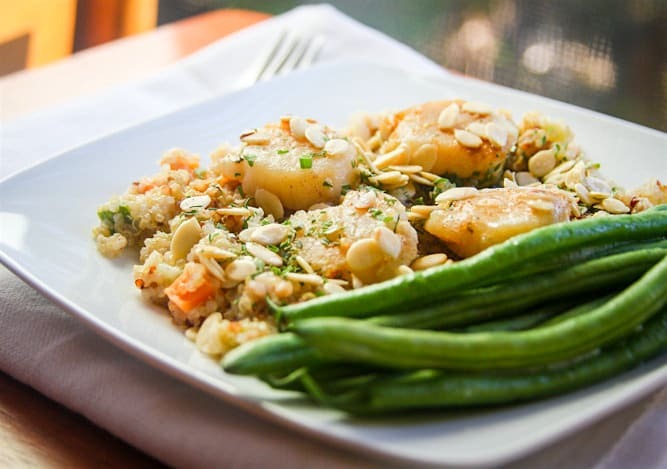 Try these one pot steamed scallops! Or throw them in a quinoa stir fry! Again, easy, peasy, and DELICIOUS. My shout out to scallops is done and my secret is out. Lazy girl’s guide to an EASY Date night Dinner is..
Will you fake your way fancy this weekend? ahem.. come on. You know it’s worth a try! Looks like I’ve got a date menu planned with a french toast breakfast and now scallops for dinner. Maybe we just have chocolate for lunch, yes? 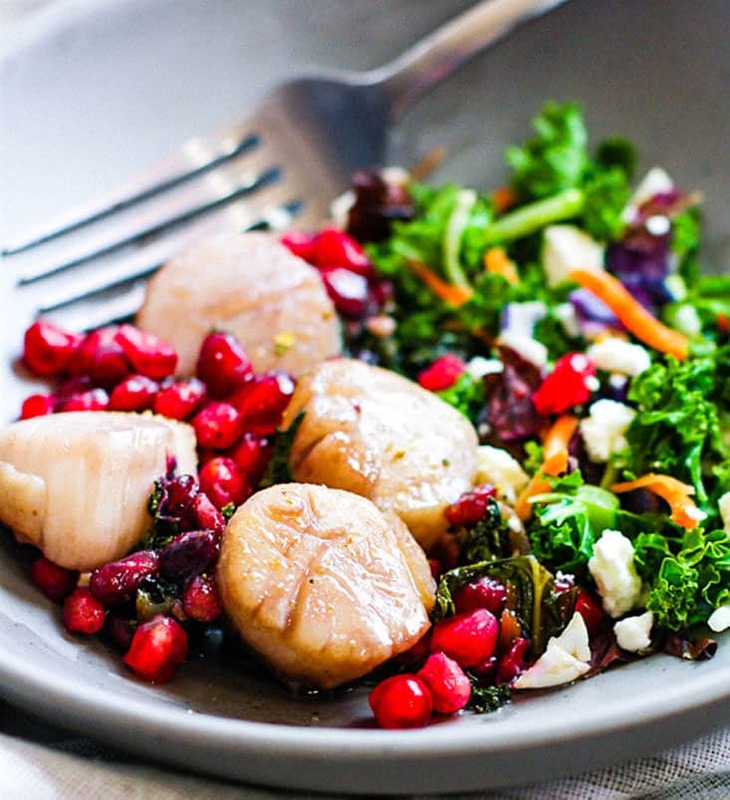 Date night dinner made EASY #paleo Maple Balsamic-Glazed Scallops with Pomegranate! 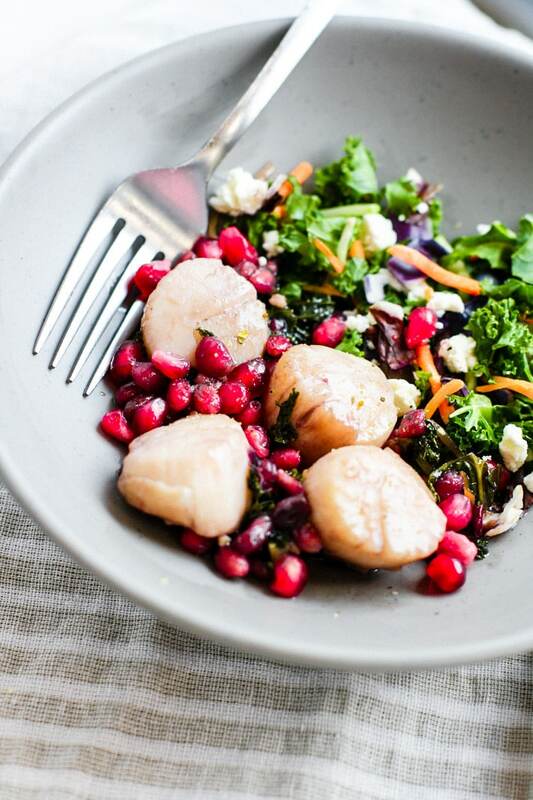 Maple balsamic and scallops are amazing and I’m all about this epic sauce! 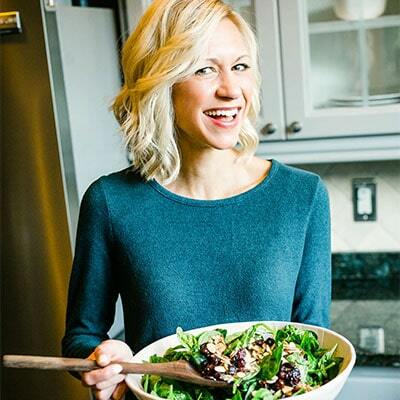 The salad sounds like perfection too – my favorite things! i always think of you with that glaze!!! This all just looks like it needs to be in my face right now! So delish! Love the photos and want the food RIGHT NOW! thanks friend! You’re the best. <3 i swerve you this with squash! I love scallops and can’t remember the last time I had them either. On a student budget here! You can? That would be amazing! These scallops sound epic and are the perfect way to fool your spouse into thinking you slaved all day in the kitchen, Genius! 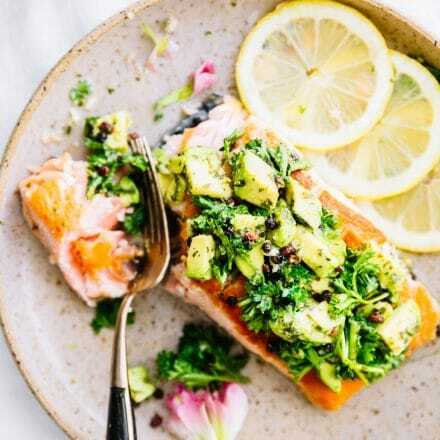 This sounds so decadent for a simple recipe- love the lazy girls guide to impressing people with food mindset- I’m totally on board! YAY…HECK YAY! Obviously I could eat these all the time, because Nantucket scallops are seriously the BEST! well count me in for a visit when they are in season, m k? I’ve only eaten scallops once in my life…and I’m fairly certain they were drench in butter!! They were delicious that way though 🙂 i”m so hit or miss on seafood, I’d probably need to try them again before I ventured out to buy and cook them myself! butter makes everything better. AMEN! you need these. I wish Dave loved seafood, it would make dinner time here so much less complicated! All the scallops for me instead 🙂 I love how quick and simple this recipe is! Thanks for sharing Lindsay! your scallops always look SO DELICIOUS!!! I would love to splurge a bit and make these for a cute little date night. Have a lovely Valentines Day weekend! Will you be my Valentine? I’ll bring dessert if you make this! Haha! I wish the girls liked scallops but who says they have to have the same thing. I might just ask them what they want and make two meals Sunday so I can have them. you can be my valentine EVERY DAY! i’ll share scallops for red velvet protein shakes! You so fancy. 🙂 Why haven’t I made scallops in forever?! 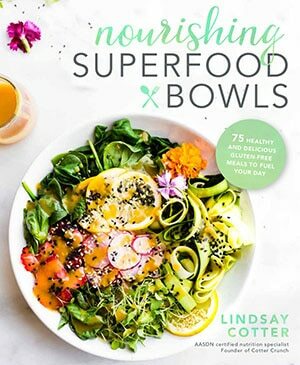 Adding this to my ever-growing lists of Lindsay recipes to try. YUM!! I LOVE scallops, they always taste so fancy and are so easy and quick to cook! 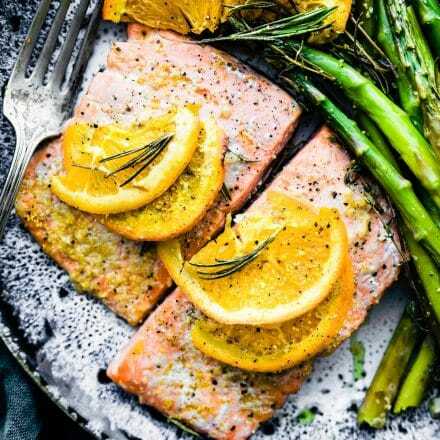 This recipe looks awesome friend! so thought of you! miss you, tons! 6-8 minutes…did you really say JUST 6-8 minutes?! That is amazing. I’ve never made scallops at home – my excuse is that they’re “too expensive”…but I feel like this would be a great alternative to eating out!! I haven’t had scallops in far too long. 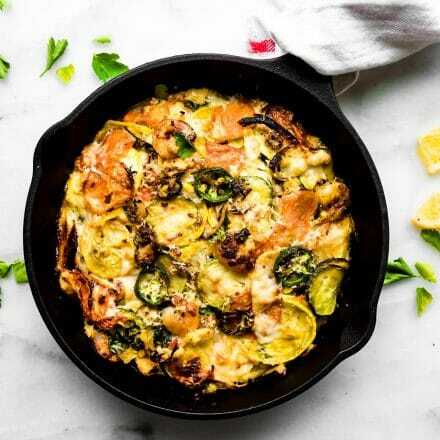 This looks like a simple and delicious way to get them back in my dinner rotation! Yum! thanks MArisa! I know you’d love this. Scallops are bliss! Right? I think it will be pleasantnfor dinner time. Never tried this recipe. Damn sure my hus will love it ?? ?